※If you request more than the line-up size will be discussed separately. 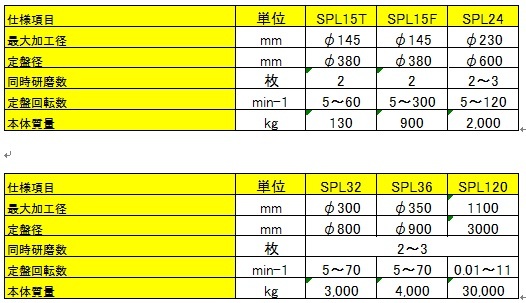 Various lapping machine lineups from small space compact lap from large size lap. ・Lapping machine makes the flat and mirror surface for the product like electronic material, metallic material, optical flat, ceramic, SiC, GaN etc. Every model has user friendly operation and suitable for mass production.